Xtreme is a fully pre-terminated fiber optic cabling system. Allowing for the highest density in the industry, Xtreme includes backbone cables, high density cassettes, harnesses, patch panels, and jumpers. Offering Xtremes in performance, density, and value, Xtreme is the perfect choice for Data Centers, LAN/SAN, and campus networks. Trunk cables act as the backbone of the P3Link System. These cables interface with the Xtreme Cassettes and Harnesses. 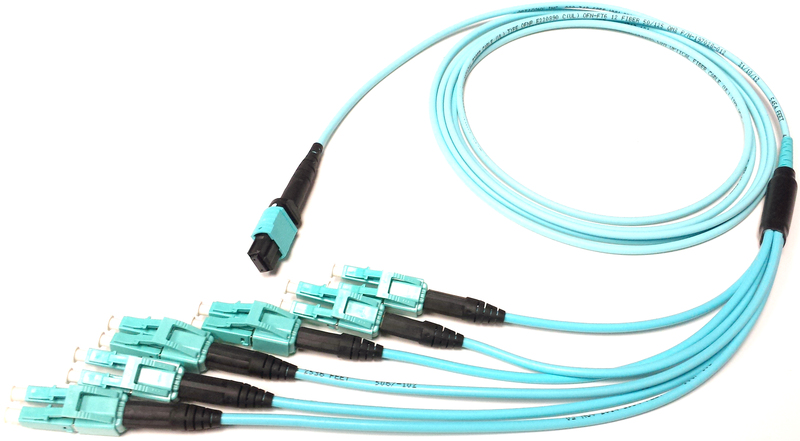 They feature MTP quality connections, OM3, OM4, or singlemode bend optimized fiber, and come complete with test reports. Choose from a variety of fiber types and counts. Xtreme Cassettes break out the MTP backbone cables into the fiber ports that will interact with the switch via patch cords. 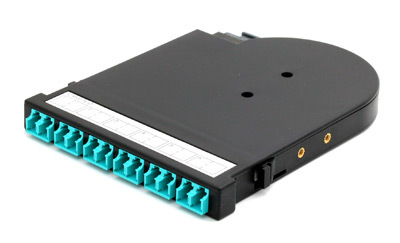 Top quality MTP connectors, shuttered LC adapters, and the highest available density make these cassettes an incredible value proposition. 10Gig (SFP) and 40Gig (QSFP) versions available. 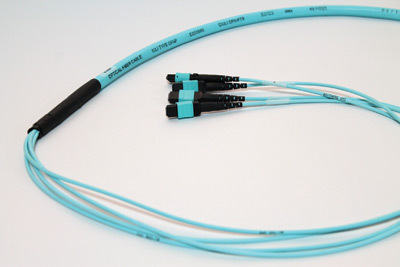 Xtreme harnesses break out the MTP backbone cables into discrete connectors for direct connection to equipment. These engineered solutions offer excellent optical performance and customized lengths and breakouts to make every installation clean and efficient. Available for 10Gig (SFP), 40Gig (QSFP), and 100Gig breakouts to SFP and QSFP ports. Xtreme Patch Panels house the cassettes and harnesses, and secure the trunk cables. 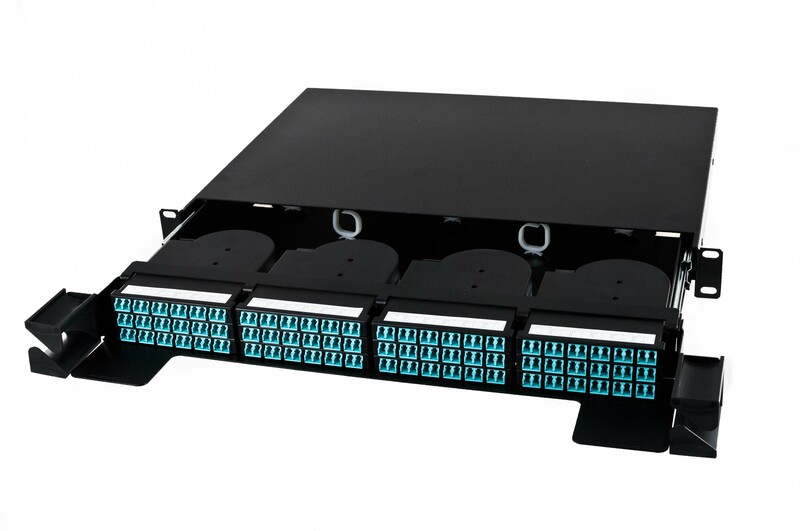 Available in a variety of densities (up to 144 fibers per rack unit), and built with flexible cable management and slide out shelves, these patch panels will make your installation fast and easy. The patch cords connect the Xtreme Cassettes to the SFP and QSFP ports on the equipment. Don't trust just any patch cord with this crucial connection. Xtreme patch cords offer Xtreme performance and added features such as easy polarity reversal on LC jumpers, uniboot construction which saves 50 percent of space over conventional duplex patch cords, and the ability to custom order any length. MTP jumpers are available in a variety of configurations. Opticonx Xtreme, ask for it by name!